Lock in a great price for Pullman Sao Paulo Ibirapuera – rated 8.8 by recent guests! Everything inside the hotel.Reception excellent,Room Excellent..breakfast excellent,wifi poor. 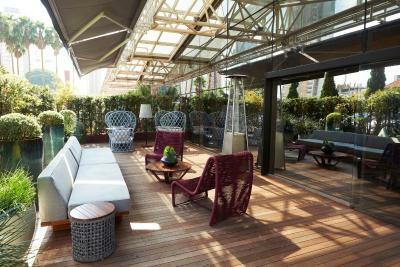 The best location in the heart of cultural and business venues. 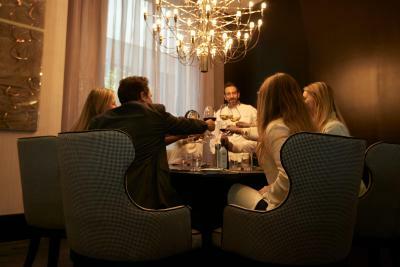 The property has been revitalized by a new looks in the bar and lounge areas. 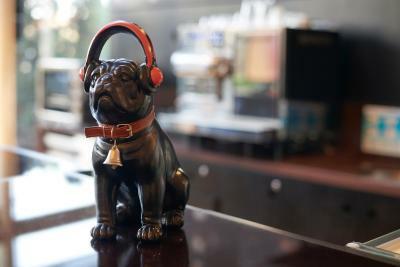 Great menu, live music on certain days of the week at the bar. New gym. From the moment you arrive at the hotel to when you walk in your room you can definitely feel what a great staff is about. The room itself is lovely decorated, bed is amazing, great bathroom as well. 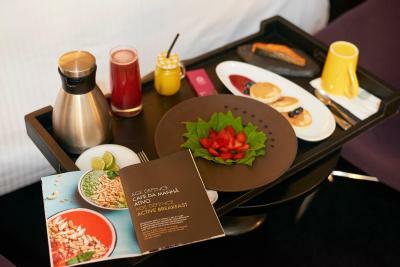 perhaps the only downside is the overpriced breakfast options. Save that money and go eating in the city. The rooms were fabulous. the staff was extremely polite and helpful. The breakfast was really great. 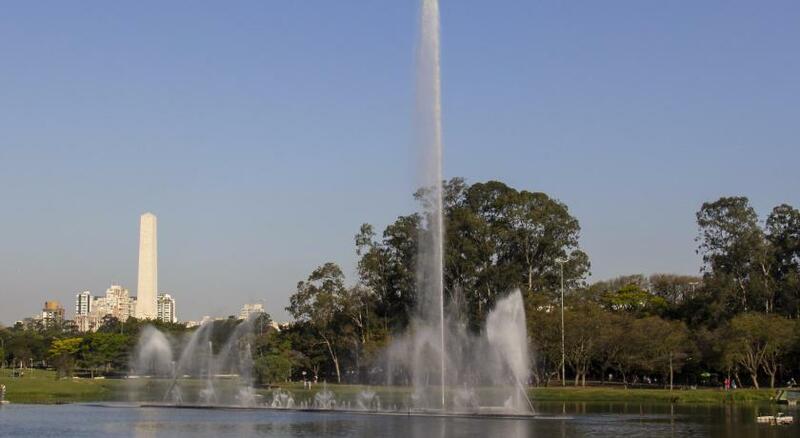 The location itself is good and a walk to the Ibirapuera park is refreshing. The wifi connection was awesome and worked everywhere at a great speed. Nice Superior Double Room (25 sq m) and glass-tiled bathroom. Room service for dinner took 30 minutes, but was good when it came. 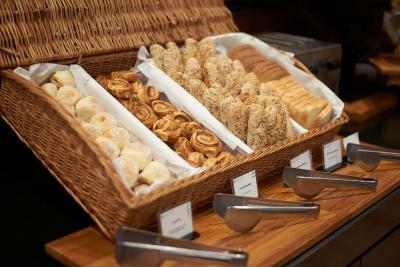 Great choice of quality options at the buffet breakfast. 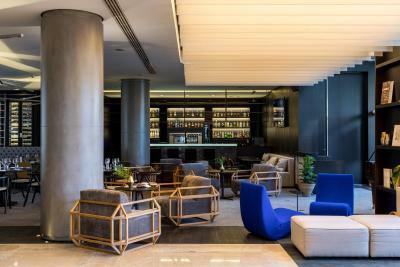 Pullman Sao Paulo Ibirapuera This rating is a reflection of how the property compares to the industry standard when it comes to price, facilities and services available. It's based on a self-evaluation by the property. Use this rating to help choose your stay! 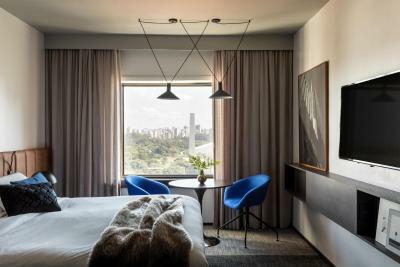 One of our top picks in São Paulo.Comfortable rooms with modern decor and city view await you at the 5-star Pullman Sao Paulo Ibirapuera, which is just a few blocks from the Ibirapuera Park. Wi-Fi access is provided. 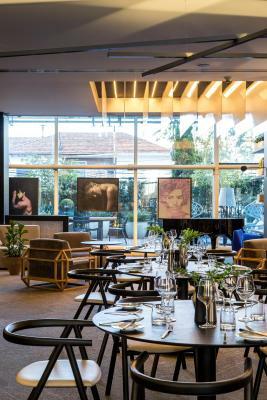 After a varied buffet served in the hotel restaurant, you can attend your business meetings, go on a sightseeing tour or simply enjoy the recreation options available on site. 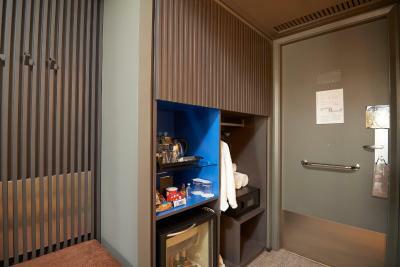 The modern, air-conditioned rooms feature a flat-screen TV, work desk and private bathroom with a shower and hairdryer, as well as coffee and tea facilities. 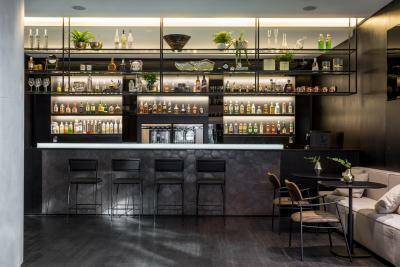 The Pullman Sao Paulo Ibirapuera showcases a swimming pool, terrace and sauna facility, as well as a complete fitness center, spa and deli bar named Tea Deli. As a guest at this hotel, you can enjoy the colorful nightlife and many dining options which are found in the nearby. Vila Mariana is a great choice for travelers interested in parks, museums and culture. 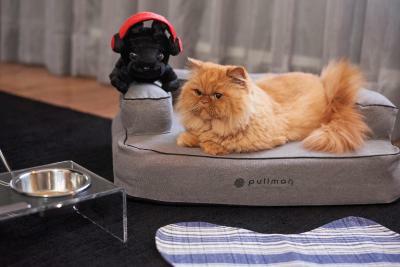 When would you like to stay at Pullman Sao Paulo Ibirapuera? 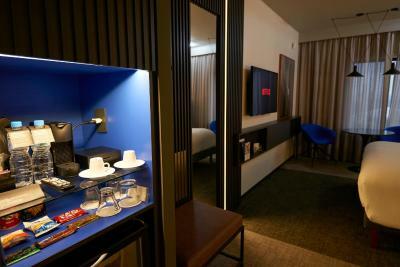 This modern, air-conditioned room has a flat-screen TV, work desk and private bathroom with a shower and hairdryer. Located between the 9th and the 11th floor, offers a more modern interior, a Nespresso coffee machine and an iPod docking station. Boasting a scenic view of Ibirapuera Park, this air-conditioned room features a flat-screen TV with cable channels and a mini-bar. Bathroom is private and extras include a bathrobe and a hairdryer. 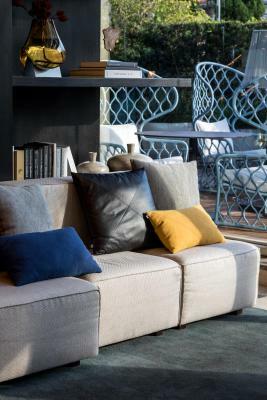 House Rules Pullman Sao Paulo Ibirapuera takes special requests – add in the next step! 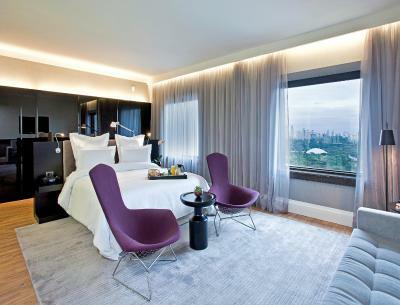 Pullman Sao Paulo Ibirapuera accepts these cards and reserves the right to temporarily hold an amount prior to arrival. For bookings with a prepayment, the credit card used must be presented by upon check in. The guest must be the cardholder. Breakfast is free for children up to 6 years old. 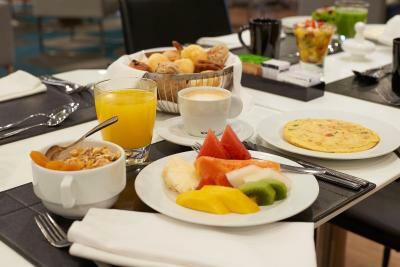 The hotel offers 50% discount in the breakfast for children from 7 to 12 years old. Older child pay the full price. Air conditioning takes too long to get going and doesn’t really cool the room down. Having to pay for the parking to me is insulting.The person(s) behind the Parking desk are rude unprofesional and are poor representative of your brand Pullman.He was the last memory i have of my stayed. Reception and surrounding areas were well refurbished, rooms were tired and in need of refurbishment. Aircon was noisy, window was broken, bathroom had damp stains and TV controls were very confusing and dated.